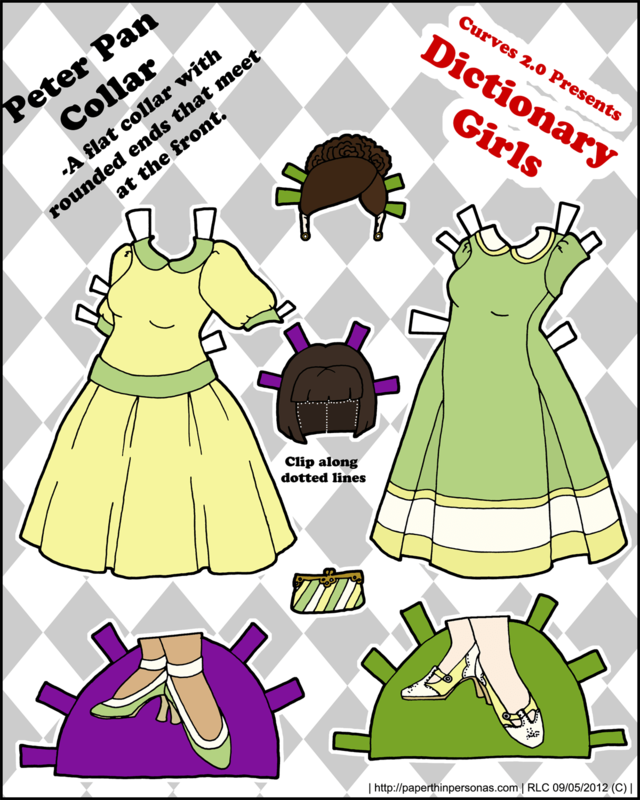 Confession time: This might be the last Dictionary girl paper doll post for a while. 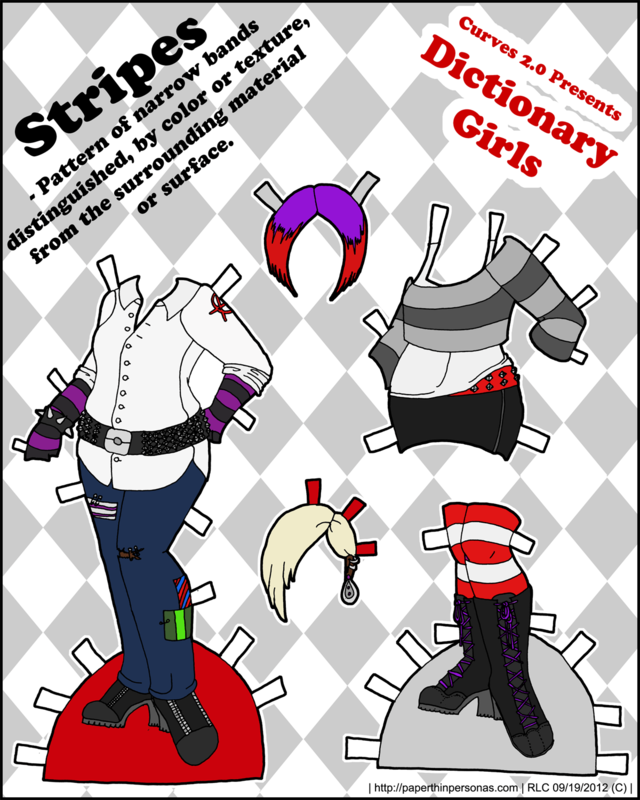 I have been feeling really ambiguous about my Dictionary Girl paper dolls lately and I haven’t even been able to get myself excited about drawing for them. 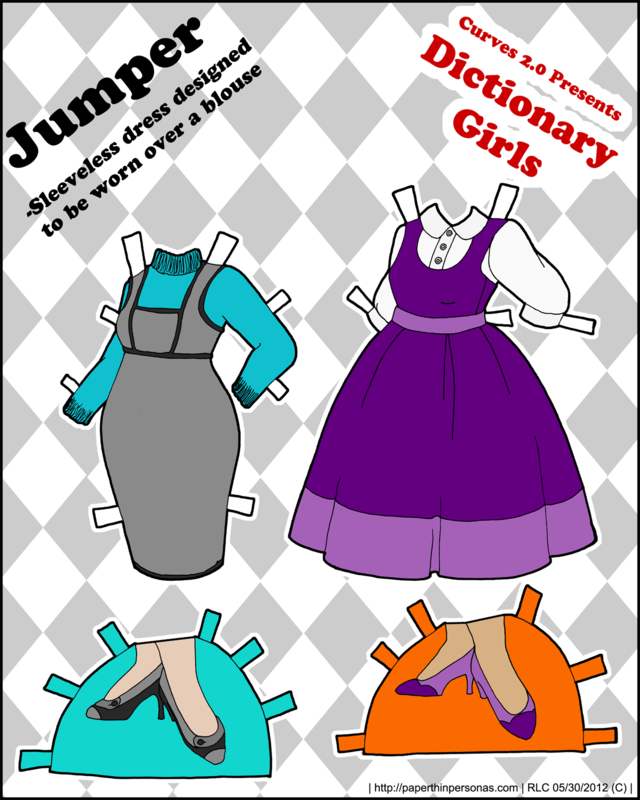 Originally, I wanted to do this fun vintage thing which I did, but lately I’ve been feeling less then inspired. Their feet freak me out and I’m not in love with their faces. 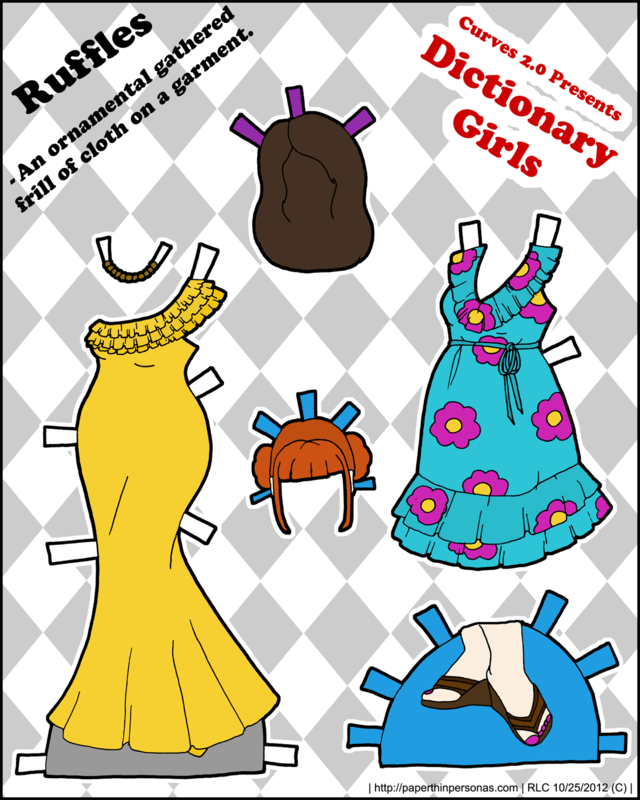 The truth is that I have moved towards a more cartoon style of drawing lately and these dolls feel… forced and awkward. 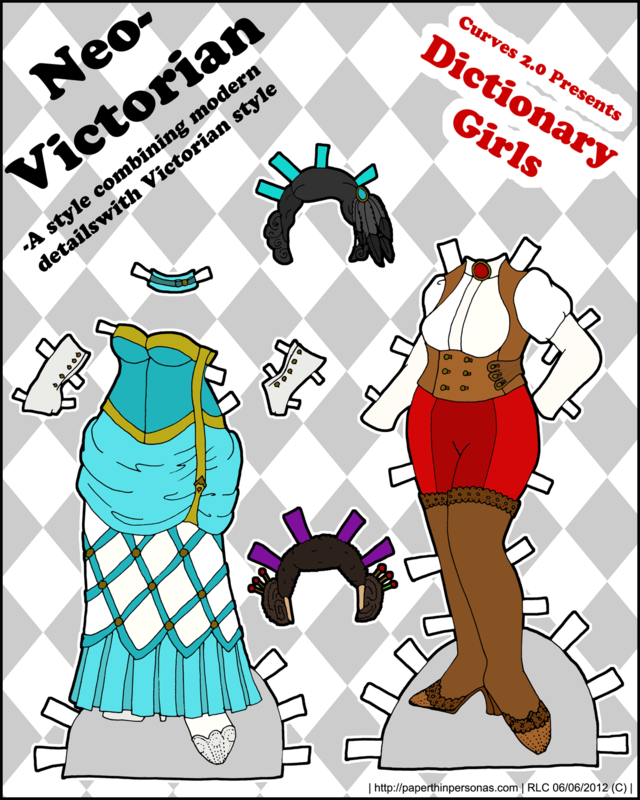 Anyway, I’m taking a break from these girls to see if inspiration strikes and if it doesn’t, I might be slipping them into the retired section with Curves paper dolls the first version, Flora the Regency paper doll and Florence the 1870’s paper doll. 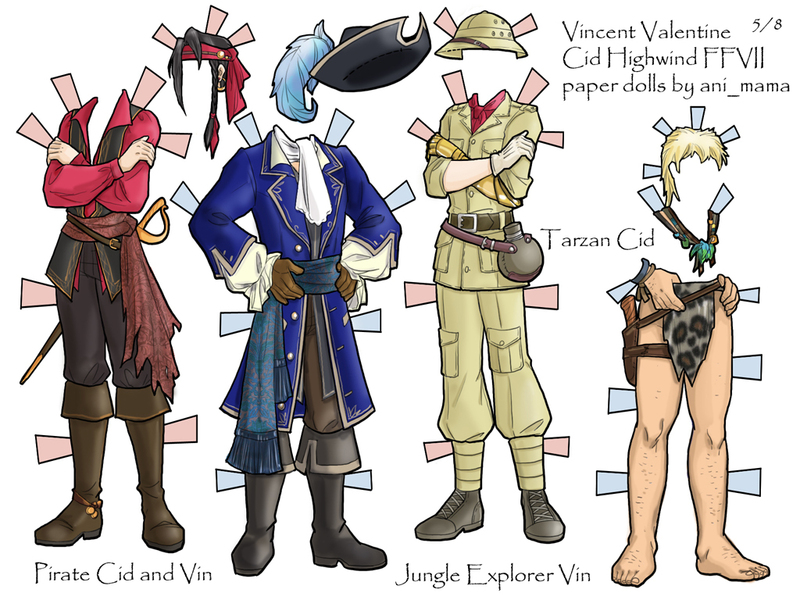 But I do want to know how people feel about this and I was going to do a poll, but instead I thought I would just ask. 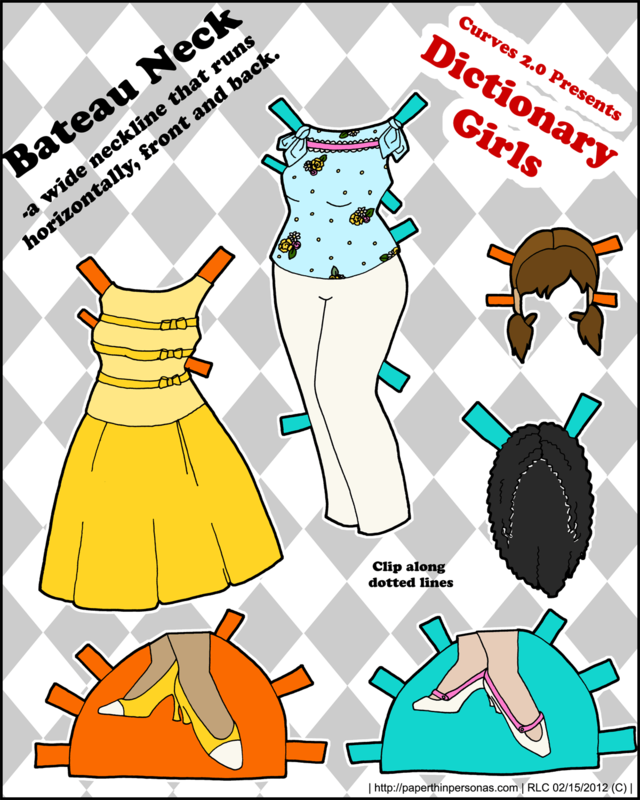 How important is it for the site to have a full figured printable paper doll? 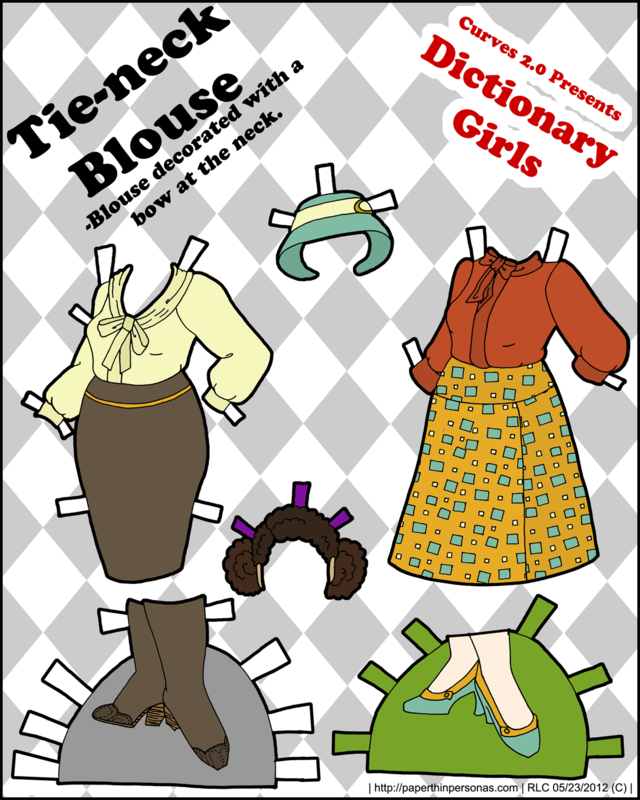 And if I decide on a different one than the Dictionary Girls, how would people feel?